Bonifacio is the most beautiful town in Corsica, and that is where I had brandade de rouget et fenoil at the nice restaurant l’Archivolto. Brandade is usually an emulsion of salted cod and olive oil, but there are also versions with mashed potatoes that are baked in the oven. 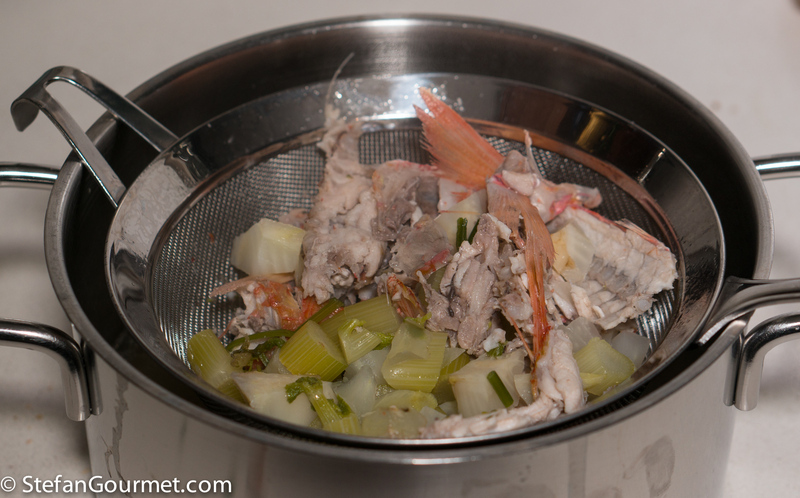 This was one of the latter, with fresh red mullet instead of salted cod, and with fennel added for additional flavor. I liked it a lot and decided to make something similar at home. In my version I used the heads and bones of the red mullet to make a fish stock that I reduced and mixed with the potatoes, fish, and fennel for an additional layer of flavor. Just like at l’Archivolto I garnished it with black olives (taggiasca) and parsley. You can serve this either as a main course or smaller portions as an appetizer. 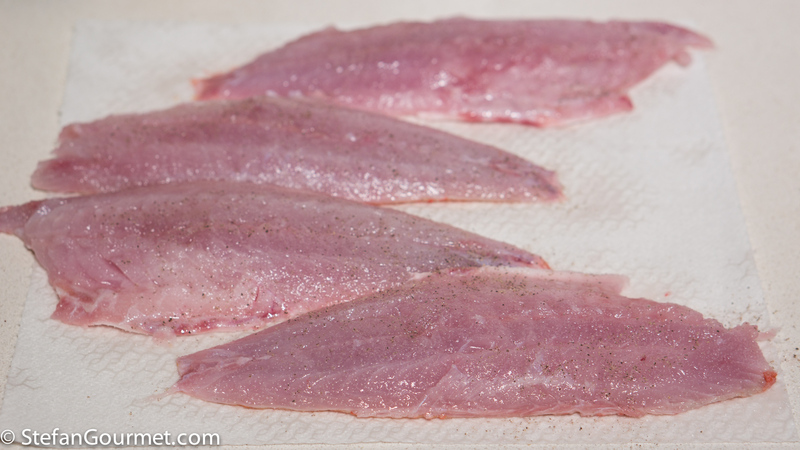 Cut the fillets off the mullets, or ask your fish monger to do this. Reserve the heads and bones to make the stock. Remove the eyes and gills, as they would give a bitter taste to the stock. Soak the heads and bones in cold water, then discard the water. 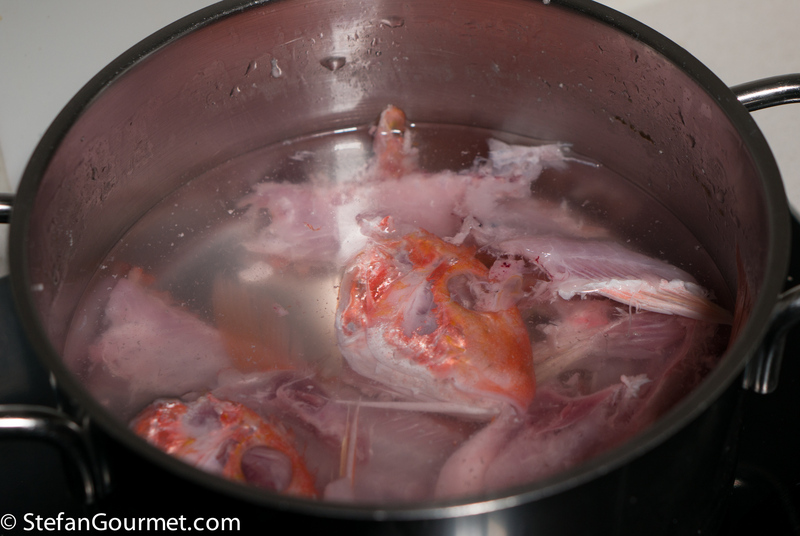 Put the heads and bones in a pot and cover them with cold water. Bring the water to a boil, and remove the scum that will rise to the surface. 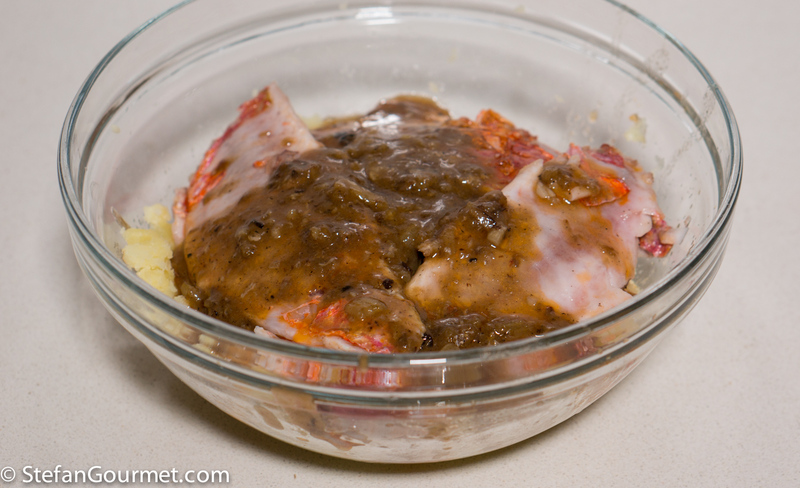 Reduce the heat and simmer for half an hour, then turn off the heat. 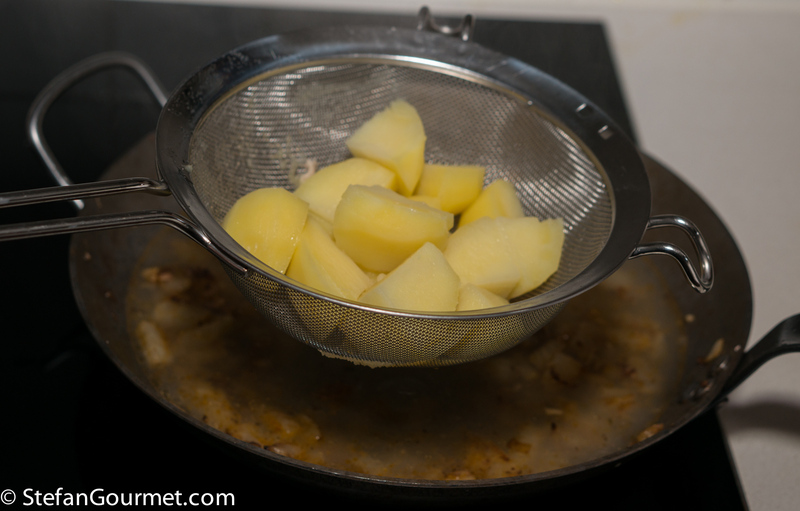 Filter the stock using a fine sieve. Discard the solids. 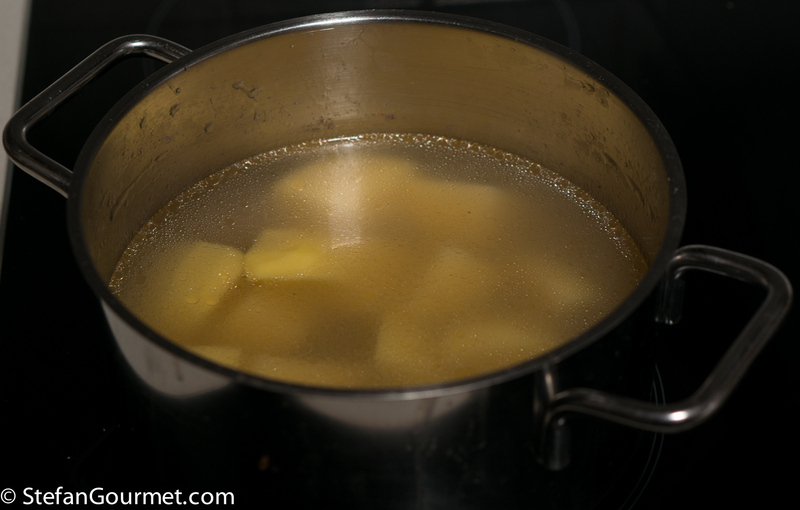 Boil the potatoes in the stock until they are tender, about 20 to 25 minutes. 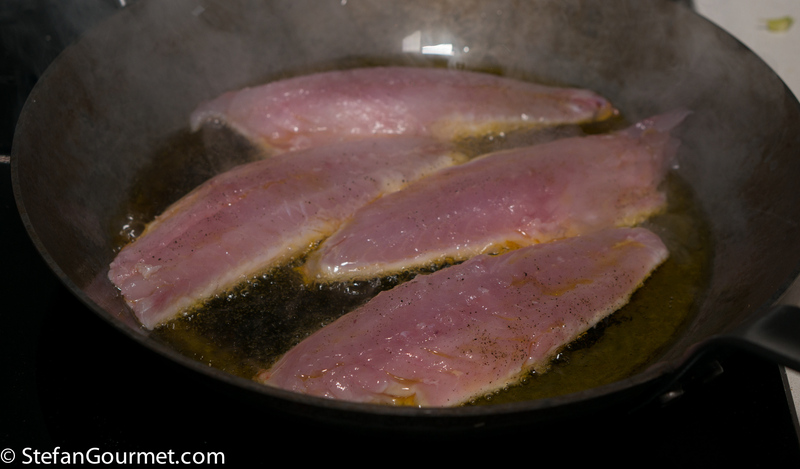 Meanwhile, season the fish fillets with salt and freshly ground black pepper. 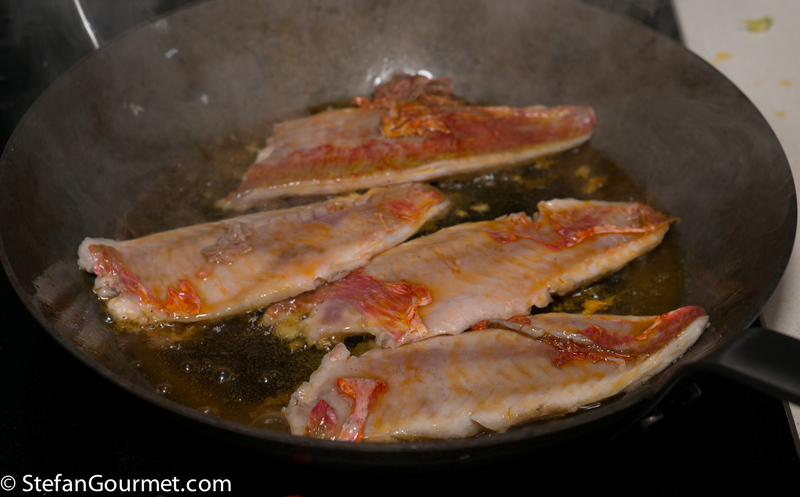 Heat 2 tablespoons of extra virgin olive oil in a frying pan and cook the fish fillets for 1 minute per side. 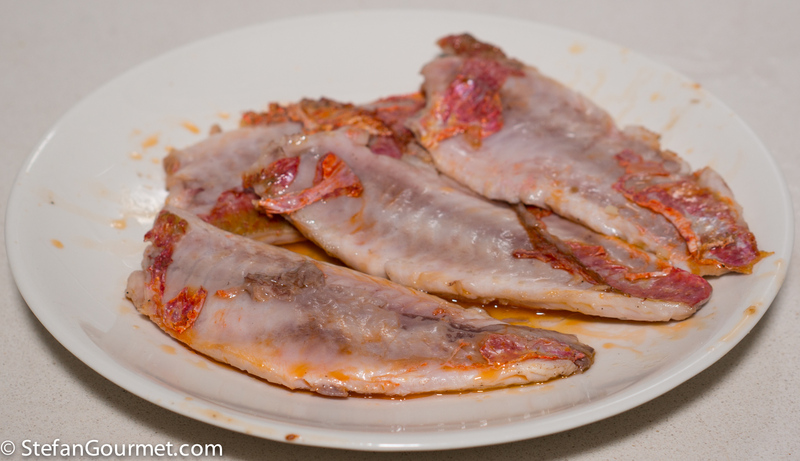 The skin of red mullet is very fragile so it is impossible to keep it whole — don’t worry about that. The fish does not have to be cooked through. 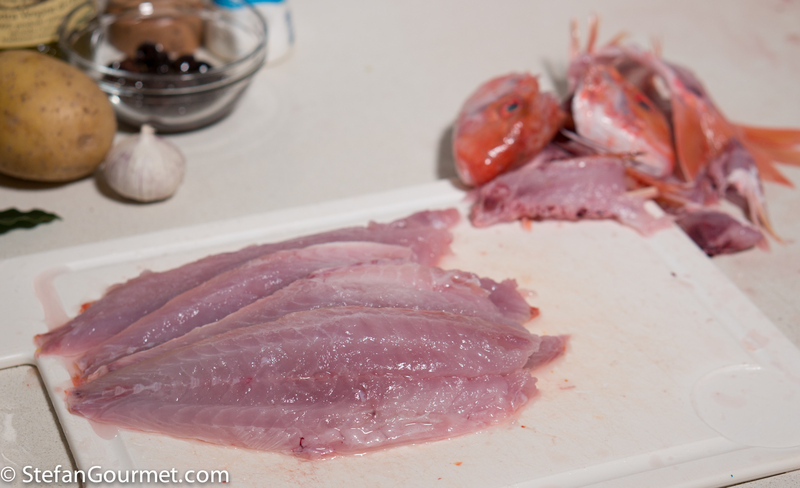 After one minute per side, transfer the fish to a plate to cool. Trim the fennel of the stalks/tops and core (use those parts for the stock). Chop the tender part of the fennel and add it to the pan in which you fried the fish without cleaning it. This way, we keep all of the flavor. 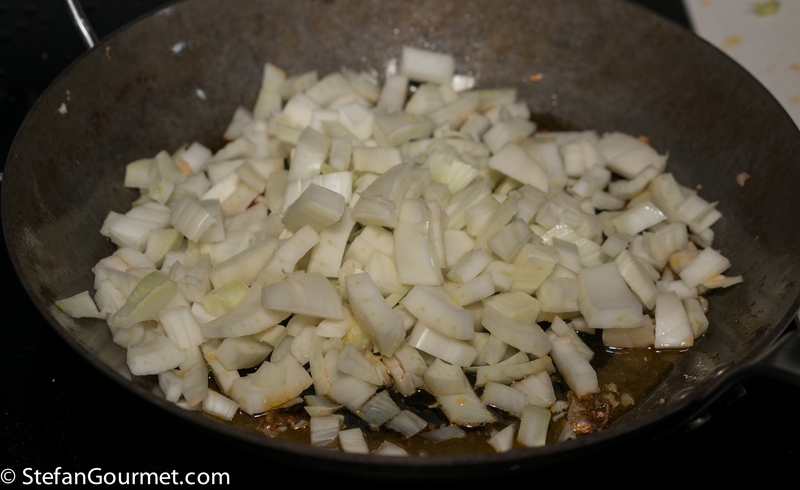 Stir the fennel over medium heat until it is golden brown. 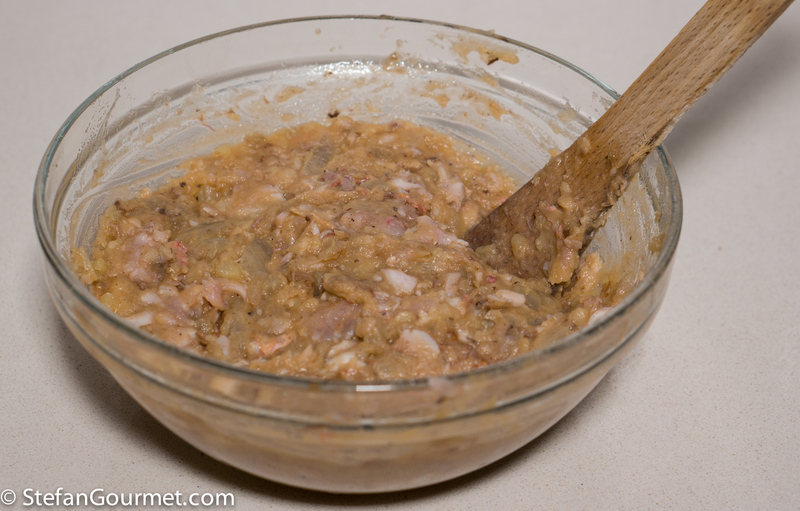 Then add the minced garlic and stir for another minute. Turn off the heat and transfer the fennel and garlic to a large bowl. When the potatoes are cooked, catch the stock into the frying pan in which you cooked first the fish and then the fennel. 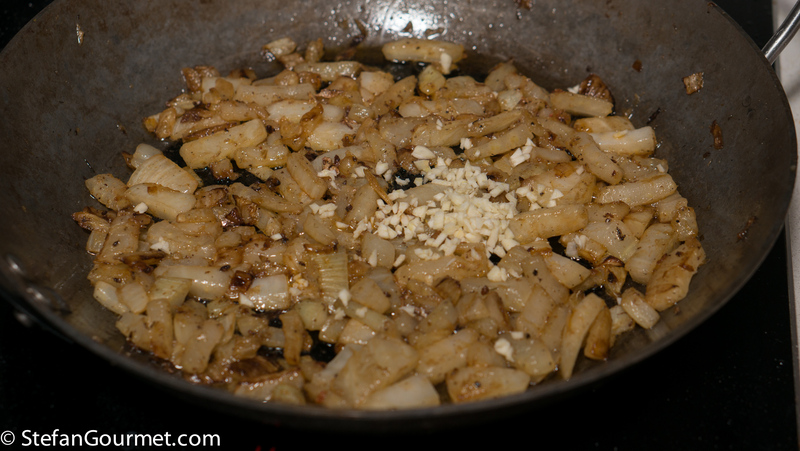 Combine the fennel and garlic with the mashed potatoes. 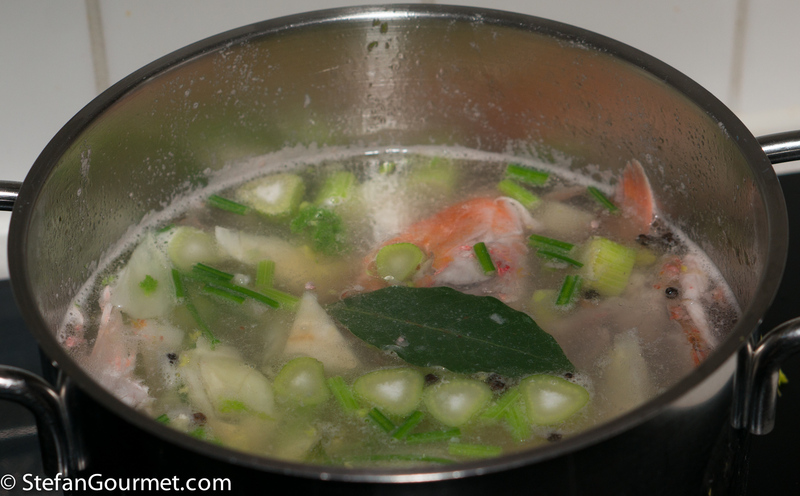 Reduce the fish stock over medium heat. 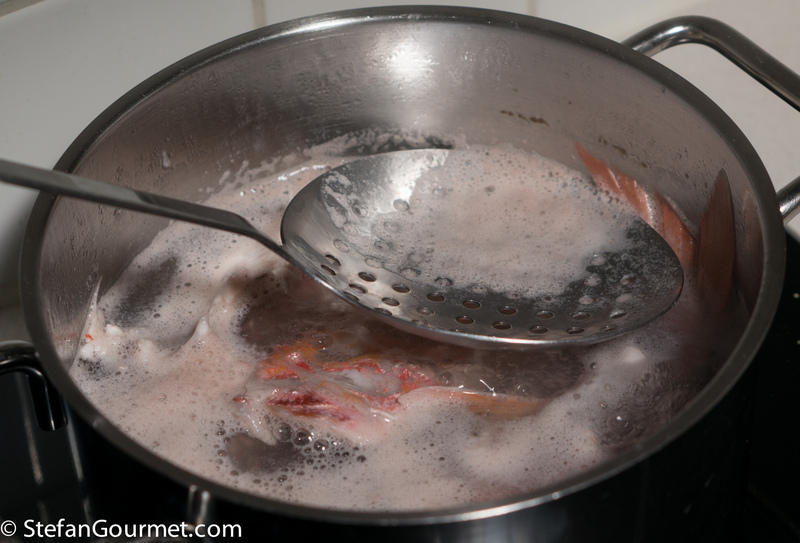 Don’t forget to add the juices that leaked from the fish to the pan with the reducing stock. 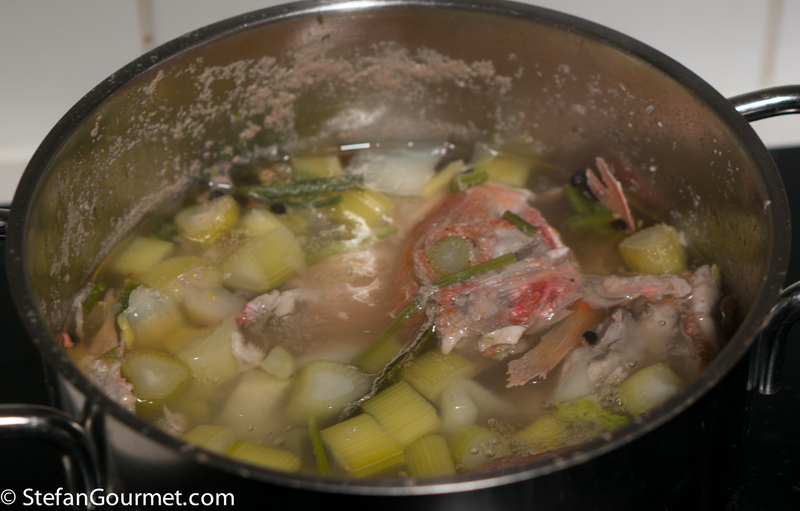 When the stock has been reduced, add it to the bowl with the potatoes and fennel. Roughly chop the fish and add it as well. 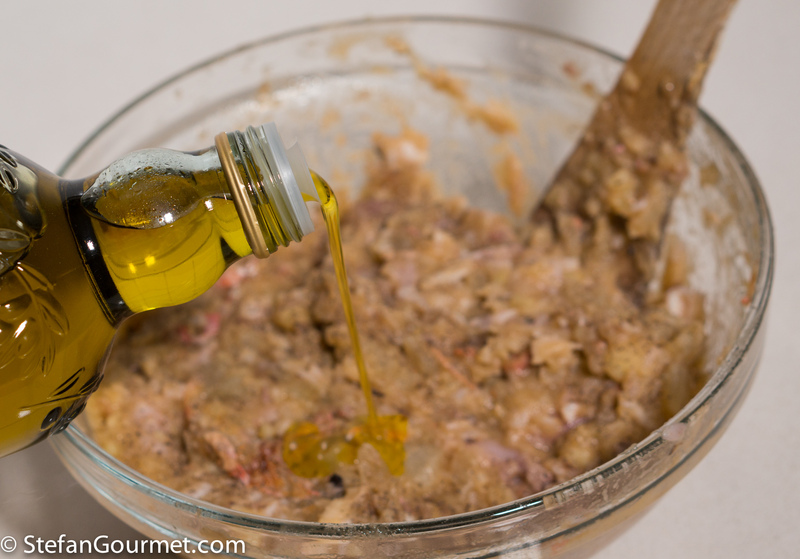 Add a generous amount of good quality extra virgin olive oil. Taste and adjust the seasoning with salt and freshly ground black pepper. 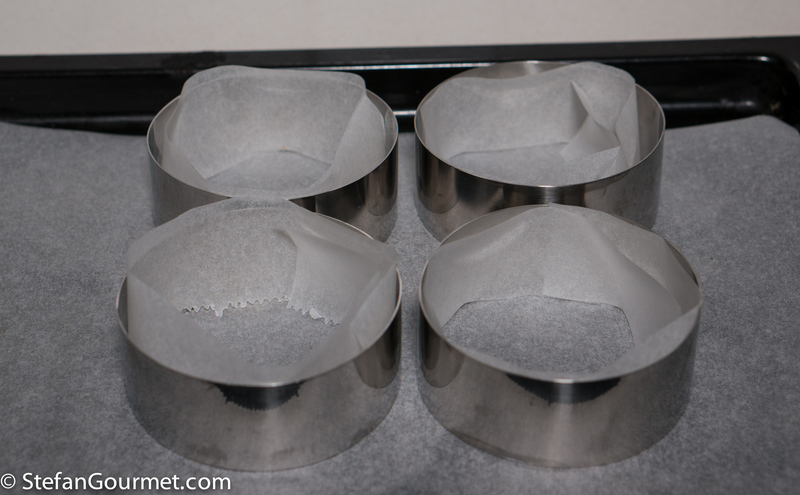 Line a baking sheet with oven paper and line some ring shapes with oven paper as well. 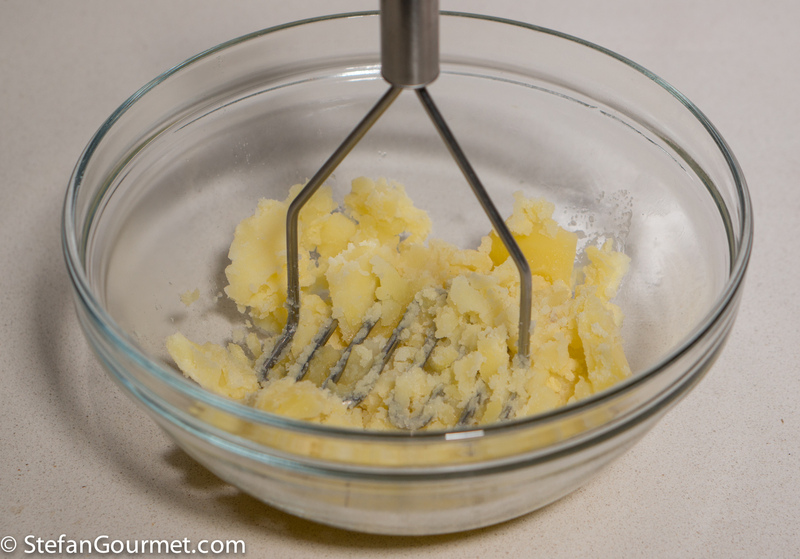 Place the mixture in the ring shapes. 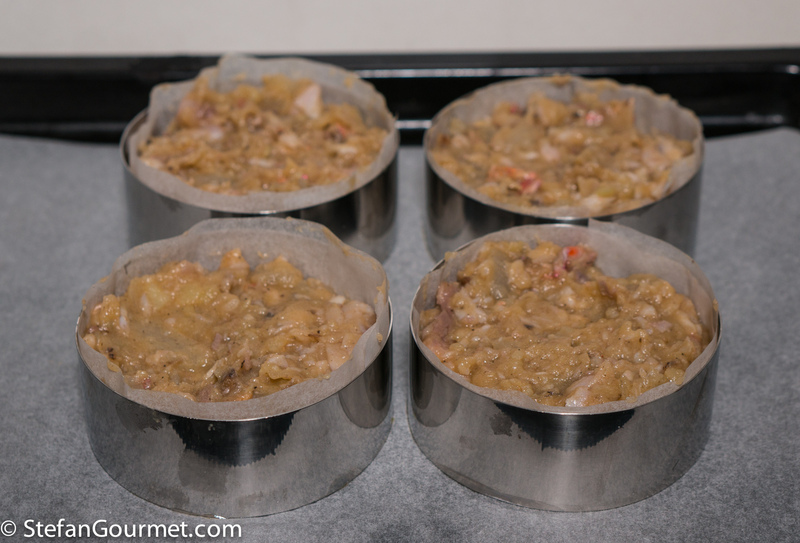 Up to this point, everything can be prepared in advance and refrigerated. 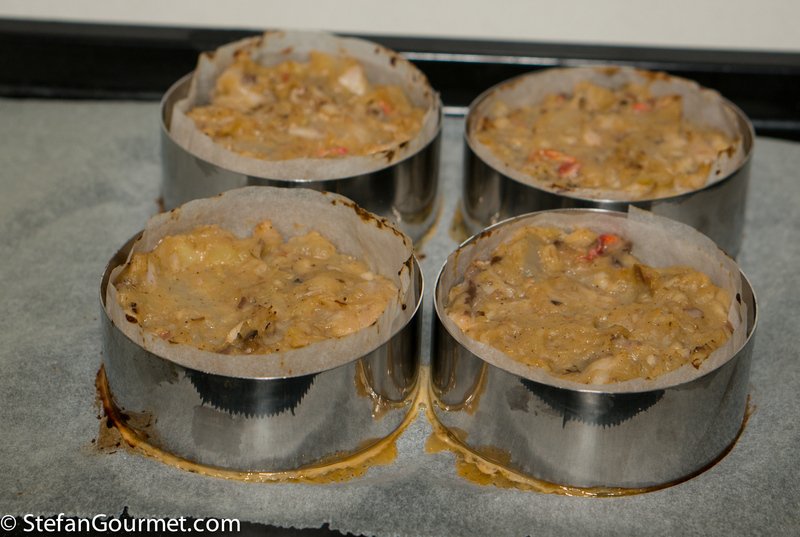 Preheat the oven to 180C/350F and bake at that temperature for 20 minutes, or until golden on top. 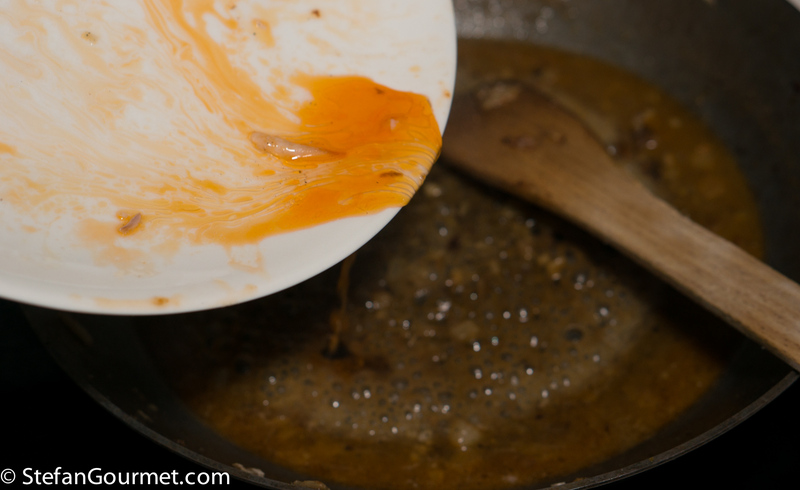 Remove the ring mold and transfer to a plate with a large spatula. Garnish with chopped olives and minced parsley. In Corsica we had a wonderful Vermentino with this, but many other dry whites will do. 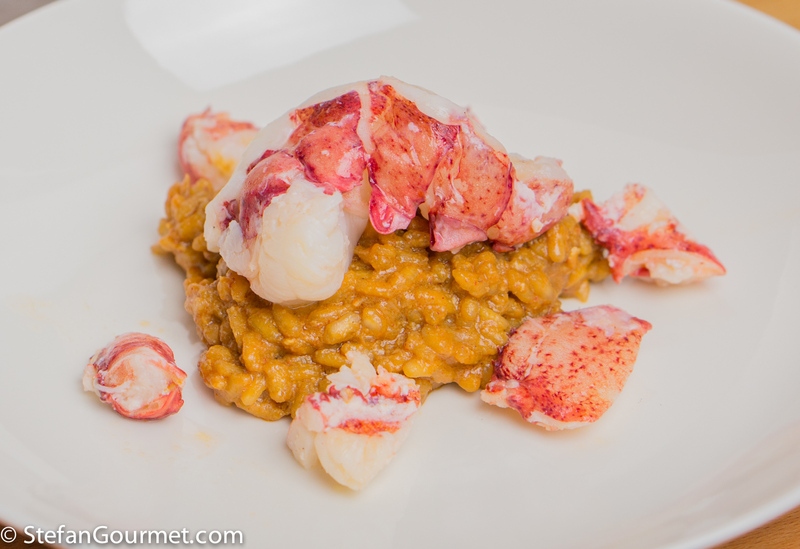 This lobster bisque risotto is quite decadent as it requires a whole (albeit not so large at 650 grams/1.5 lbs) lobster per serving. Once again, I so wish I could taste this! Questo sì, questo è un piatto meraviglioso per i miei gusti. Lo copierò appena trovo le triglie. Grazie!! I’m intrigued! 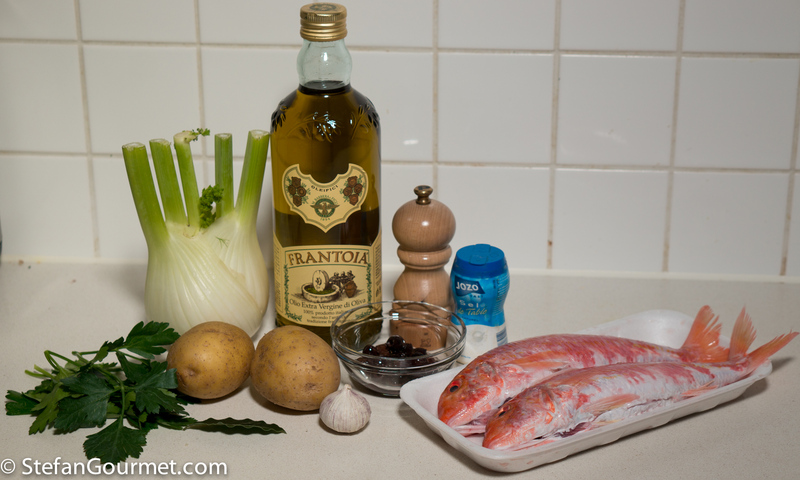 I adore brandade, especially the kind with mashed potatoes, but never have tried it with red mullet. Will give it a try next time I’m in the mood for brandade. 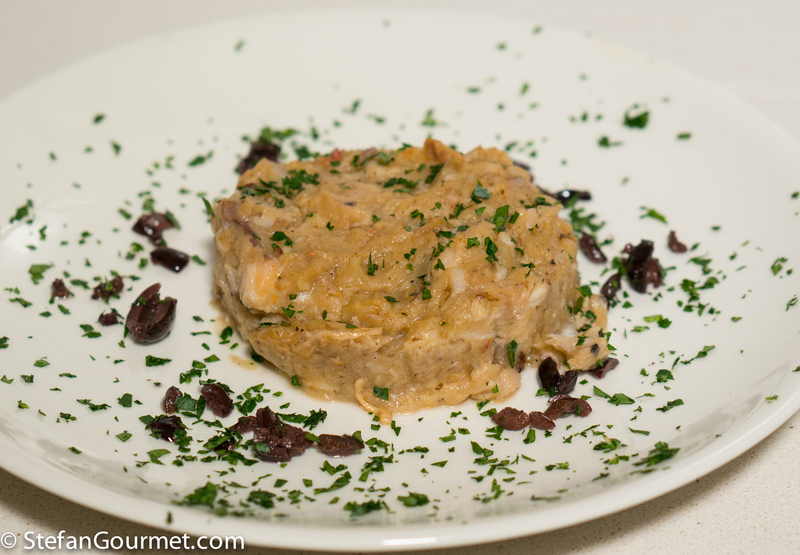 I adore brandade de morue, but never even thought of the possible variations. This sounds really delicious! My Portuguese housekeeper of many years so tried to get me to like this made with salted cod: neither my husband nor I grew to love or even just like! This recipe is an entirely different story . . . what a lovely first course it will make very soon on the table here . . . thanks! Oh I know where you’re coming from. Neither Kees or I are very fond of salted cod. It was invented to conserve fresh fish long before refrigeration was invented, but nothing beats proper fresh fish. Greetings from Taiwan, by the way! Oh!!! Have a great time . . . hope you can access all that wonderful street food at this time of the year . . .
Not any more! Not for the last six years . . . . lacked the discipline to keep ‘moderate hours’ and it ‘threatened’ to take over my real life !! Not that friends don’t tempt, but . . . . I can imagine, seeing how you’re following blogs. I was just saying because that’s where I’m posting photos of everything, including the food. I suppose I could e-mail you some. I ‘do’ blogs as small breaks during my working day for fun and relaxation: if I can’t in the morning, I may at night or the next morning . . . . no one watching me, no one aware of what and when: suits me 🙂 ! Love to be In Chicago one moment and Amsterdam in half an hour 🙂 ! Oh, if you ever have five minutes I’d more than love a few photos . . . actually some of your friends and mine do at times spoil me thus . . . . 🙂 ! Not rude enough to ask, but grateful if such happens . . .